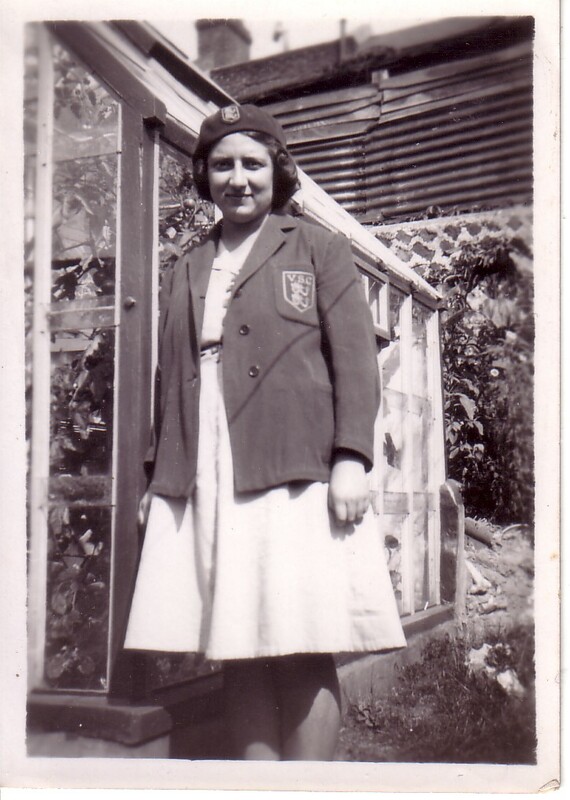 This is my cousin Kathleen Tugwell, photographed in her Varndean School uniform. After teacher training college she went on to teach at Hertford Road School, Coldean School, and then was Headmistress at Middle Street School. She died in 2009 age 84. I wonder if anyone remembers her from their schooldays? If you do, please leave a comment below. I remember Miss Tugwell at Coldean School, though I wasn’t in her class. I was there 1961-1967. I remember Miss Tugwell from Hertford Road School, I was in her class the second year of my schooling. I remember her very well. I enjoyed my time in her class at the age of 6 years old and in the school in general. Good times. We had a Tugwell who was a customer at our garage in Kemp Town in the 1950s. I don’t know what his first name was as he was only known as ‘Tug’ or ‘old Tug’ but I have a feeling he was connected with a little single seater racing car which was stored with us in the very early 1950s. Ring any bells? I think the car was called the MacLauchlin ? Special (check spelling) based on a pre-war Austin 7. I was sorry to see it go as I rather coveted it as a small boy! I went to Middle Street Primary 1964 to 1970 and remember Miss Tugwell as Headmistress. I think she left 69 or 70 and was replaced by a Mr Wright who also taught the ‘year 6s’ in today’s language. Seem to remember she was a big lady and was often in a bright blue pleated dress. Other teachers from Middle Street I remember are Miss Cameron, Miss Wencill, Mr Law and Miss Stanger.. I remember Miss Tugwell from when I was at Coldean School. I went to Coldean School from when it first opened until 1958. Her picture is exactly as I remember her-that hint of a smile. She was always kind and I don’t believe any of us children were wary of her. Funny thing but I had forgotten her name until I saw her picture. Hi Lynda Brand, are you related to a Jackie Brand who used to live around the corner of Elmore Road? she was a friend of mine in the 1950s. I remember Miss Tugwell as my headmistress at Middle Street school ( 1964- 1968). I loved it there but left to go to a new school as we moved. I remember Miss Tugwell, I went to Middle Street from 1964 until we got moved out for the rebuild. I still recall the school song. I too remember Miss Wencill. Very happy memories. Imogen - School Play 1955/6? The Golden Goose: Summer 1965.